Turn your daily driver, garage queen, or show car into a masterpiece! 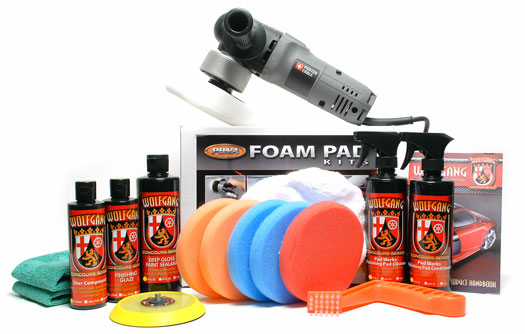 The Wolfgang Porter Cable 7424XP Ultimate Polishing Kit includes all of the necessary products needed to safely remove paint defects, and impart a high-gloss, long-lasting finish on your paint. If your paint is looking a little tired or you are sick of swirl marks, scratches and other paint defects, the Wolfgang Porter Cable 7424XP Ultimate Polishing Kit is for you. Because of the amazing performance of Wolfgang Uber Compound, you have the ability to remove moderate-to-severe paint defects quickly and efficiently without hazing or dulling the paint. Because the of the Porter Cable 7424XP's safe orbiting design, you can polish your paint and achieve better-than-professional results with little risk of damaging or burning your paint. The Wolfgang Porter Cable XP Ultimate Polishing Kit gives your the power to turn your daily driver or show car into a masterpiece! This kit contains everything you need for a first-time polish and seal, and nothing that you don't. Best value for the money in my opinion. 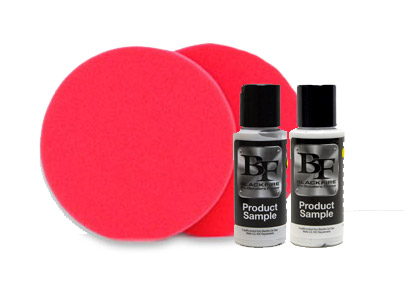 The pad cleaner and tool make cleaning pads very easy and fast. Kit is well bundled for polishing and waxing a vehicle post-wash. I would have preferred different pads, as I don't need to advanced cutting pads. Otherwise it's a great kit. ProsGood value. Polishes to high shine. ConsWould rather have a different pad combo.